DJI Mavic Air – The best of DJI Spark and Mavic Pro in one device!!! And there we have it guys – DJI has finally unveiled the brand new Mavic Air! True – that’s not the drone everyone was expecting. Remember their ad for DJI Goggles RE? Well, that thing featured an easter egg teasing Phantom R… But we got Mavic Air instead! Is it a good tradeoff? Well, we are talking about two completely different drones so there’s not too much point in comparing them. But one thing is for sure – DJI Mavic Air definitely has everything a top-tier drone needs! It’s not a secret – DJI Mavic Pro is the most successful drone DJI has ever created! DJI Spark, still with growing sales, hasn’t been a disappointment either. By stepping away from their usual Phantom series, DJI has successfully created a real craze for miniature high-end drones. And while everyone expected DJI Mavic Pro’s successor to be called DJI Mavic Pro 2… we basically got the exact same thing in DJI Mavic Air! Needless to say, it is a completely logical move by DJI – increasing their presence in a niche they were already heavy favorites. Plus, by adding an option in the middle of their 2 newest models, DJI basically created a monopoly as far as miniature high-end drones are concerned. DJI Mavic Air – What’s New? There are plenty of new things to be said about DJI Mavic Air… but let’s start off with the 3 most important ones! Before that, it needs to be said that Mavic Air falls comfortably right in the middle of Mavic Pro and Spark. Price-wise and size-wise, these 3 models fit next to each other like real champs. Plus, the general appearance of Mavic Air resembles the mix of the 2 above-mentioned drones. With that being said – it is safe to call it a mixture of the two. Now that we got that out of our way, let’s see what are the 3 most interesting facts about this little birdie! DJI Spark is slightly smaller than Mavic Air when both of them are ready for takeoff. 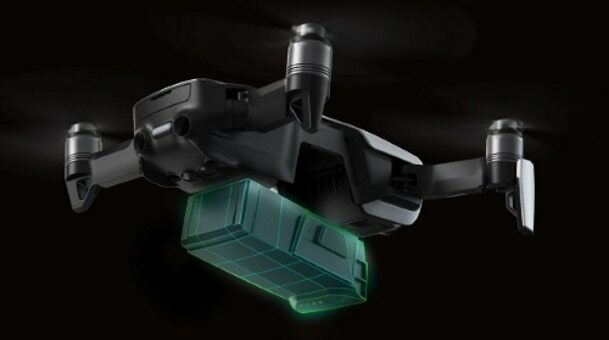 However, due to the presence of a foldable design on the latter, it is actually smaller than DJI Spark in its folded form. The takeoff weight is right in the middle too – still lightweight at 430 grams. With slightly more than 210 mm in diagonal and 168x184x64mm when unfolded, DJI Mavic Air is quite a fancy little treat. In the smallest of bottles hides the deadliest of poison… That’s indeed true for DJI Mavic Air which sports an impressive 3S LiPo with 2375mAh. It weights quite a bit too – 140 grams… But it makes up for it by producing up to 21 minutes of flight time per charge. You read that correctly – 21 freaking minutes! Needless to say, that number alone sweeps the floor with all other similarly sized competition. The brilliant camera is a massive selling point! Clearly, the best thing about DJI Mavic Air is its impressive 12MPX camera with 85-degree FOV. When it comes to all those numerous technical gimmicks, this camera is actually on point with that of DJI Mavic Pro. Not surprising considering the fact it’s mounted on the world’s smallest 3-axis mechanical gimbal. In fact, in most of the aspects, this miniature camera is actually superior than the one on Pro. However, There’s a whole section dedicated to camera comparison so I’ll let that be it for now. With that in mind, let’s head onto the most exciting feature this camera has to offer! 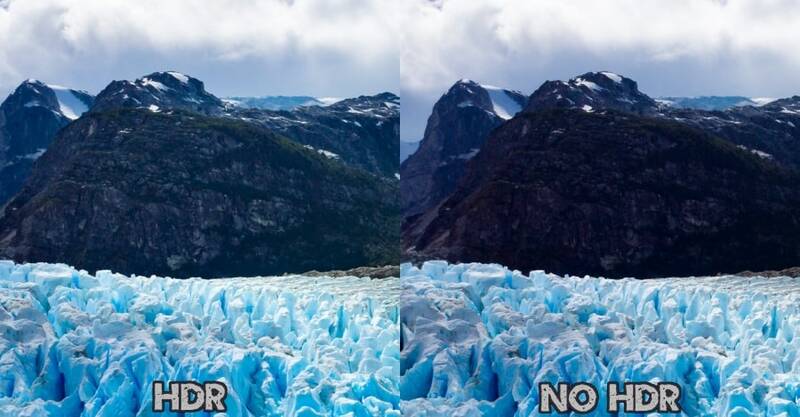 Of course, I am talking about High Dynamic Range – a feature that we’re seeing everywhere nowadays, from smartphone displays, TVs, and even drone cameras. With a respectable color palette and brand new HDR algorithms, DJI Mavic Air will provide you with the right exposure no matter what lighting condition you record at. All of your images will look natural, allowing you to take all the bragging rights when showing them off. On paper, DJI Mavic Air should indeed have a better camera than the one on DJI Mavic Pro. It’s not only because it has higher frames in lower resolutions but because it also sports higher video bitrate as well. DJI Mavic Pro records in 60mbps while DJI Mavic Air records in 100mbps. That’s a huge quality gap meaning this little camera birdie is definitely worth the money at least when it comes to its aerial photography solution. When it comes to the features, DJI Mavic Air really is something! On a scale of Spark to Mavic Pro, I’d say it’s somewhat on point with the latter. Heck, it even has some more advanced features than the Pro. The nomenclature of certain ones has slightly been slightly altered but it’s still relatively close to everything else DJI offers. SmartCapture allows you to capture aerial footage in fun, simple and highly intuitive ways. There is absolutely nothing complicated as far as SmartCapture is concerned. You learn hand gestures for launching the Mavic Air and you learn hand gestures for controlling it in the air. 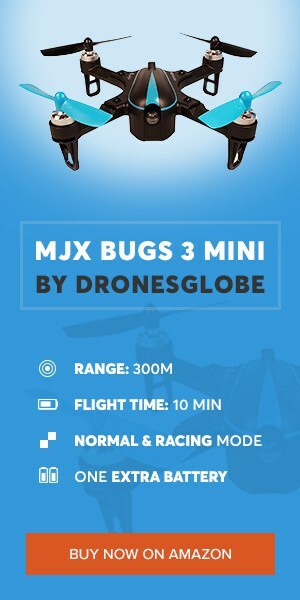 And that’s it – you will quick astonish your friends with awesome gesture controlled drone movements! Thanks to advanced VIO technology, DJI Mavic Air doesn’t just stop when it encounters an obstacle but it works its way around it. This is further achieved by backward, forward and downward sensors, IMU redundancies and several computing cores. It’s a brilliantly comprehensive obstacle avoidance that’s bound to keep your drone out of trouble at all times. After everything that’s been said above, one thing is certain – DJI Mavic Air could be the drone of 2018… the same way Mavic Pro conquered 2017. With an impressive camera, even smaller form factor and foldable design, there’s nothing stopping this fella in its pursuit of perfection! I’d also like to add that this will probably be the turning point of the entire selfie drone niche. We can expect several other micro drones with 3-axis gimbal not only capable of producing great selfies but generally excellent aerial videos. Both casual and commercial users will have to keep an eye out for this one – its mixture of compactness and raw power should not be taken for granted! AirDog ADII has reached their goal in a Kickstarter campaign! What do you need to know about this action drone?